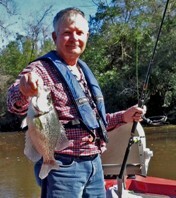 LAKE HOUSTON MARCH CRAPPIE TOURNAMENT (UPDATE) - Page 2 - Lake Houston Fishing! blows 20 mph average in the spring time march winds. early before the wind gets up for sure. ok so I got a flyer from BJ's a while back and could have swore it said the tournament was on the 28th? (25$ entry 5$ big fish per person two person per boat) is this same tournament yall are talking about? I just need a date conformation please and thank you. Either way im going to fish it. also do we have to launch out of BJ's or check in at start time? Old school 15.5' 1985 skeeter stratos w/85hp Johnson. You may call it a little redneck I call it character. give you all the new posts.